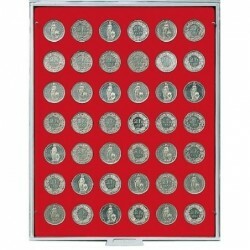 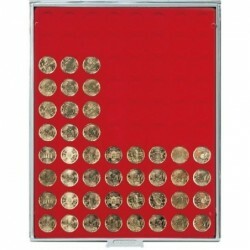 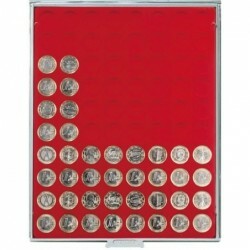 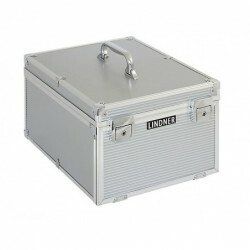 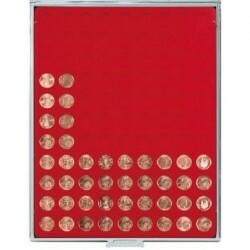 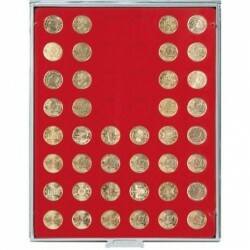 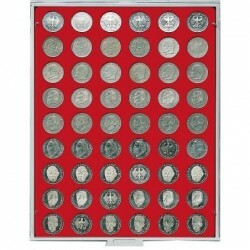 Lindner Coin Box, overall size 236mm x 303mm x 20mm. 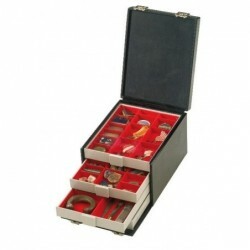 Round compartments designed to hold coins securely in place. 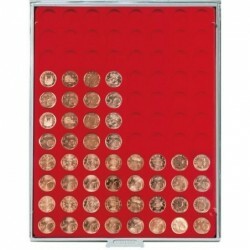 Clear plastic lid has feet in base to clip into top of other coin box to enable them to be stacked on top of each other.